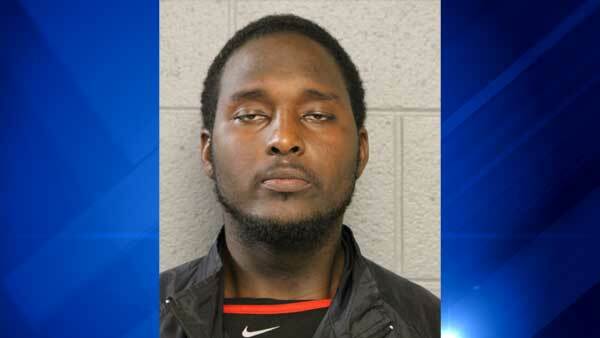 CHICAGO (WLS) -- A 23-year-old man faces several charges after police said he stole a van with a 2-year-old girl inside. The girl's father went into a business in the 3900-block of West Cermak Road in the city's Lawndale neighborhood Sunday night and left his white van running with his daughter inside, police said. Lamont Robinson allegedly got into the van and sped away before the girl's father could get back to the vehicle. Officers saw the stolen van around 8:50 p.m. and gave chase. The pursuit ended about 30 minutes later near West Logan Boulevard and North California Avenue, where Robinson was taken into custody. The toddler was taken to St. Mary's Hospital as a precaution. She was treated and released. Police said an "assisting unit" was involved in a crash in the 2800-block of South Kostner Avenue. Two officers and a male driver were taken to area hospitals. Their injuries were not life-threatening. Robinson, of the 3400-block of West Polk Street, was charged with kidnapping, aggravated possession of a stolen motor vehicle and aggravated fleeing, all felonies. He was also charged with driving without a license and attempting to elude police, both misdemeanors, and cited for disobeying a red light. Robinson is due in court on Tuesday.